We offer free basement wall quotes to homeowners in our South and North Carolina service area. Contact us today to schedule your inspection! For a free basement wall quote, call or e-mail us today! 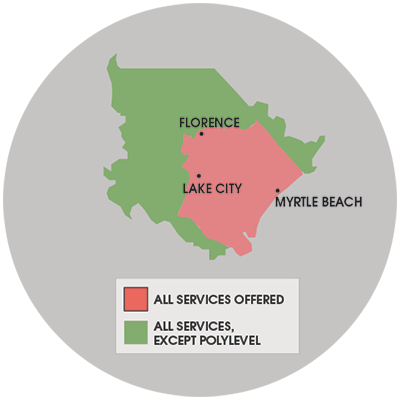 We proudly service South and North Carolina, including Murrells Inlet, Manning, Dillon, Marion, Kingstree, Loris, Cheraw and nearby.